Rapper Kanye West honors the late Nipsey Hussle at Sunday Service. 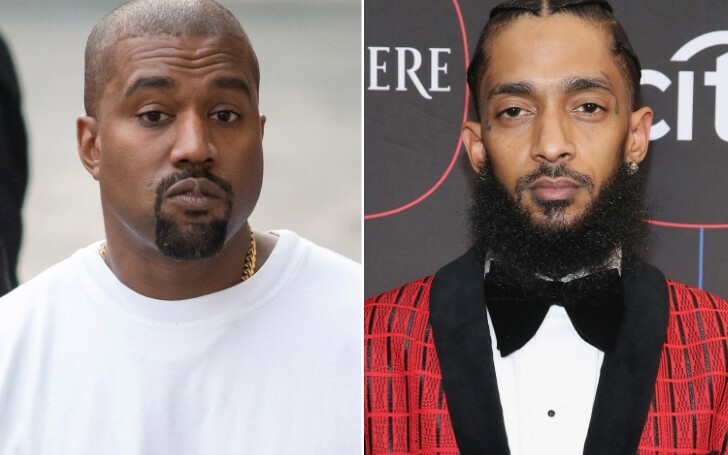 Celebrities including Kanye West showed their respect in an honor of the late rapper Nipsey Hussle at the recent episode of his Sunday Service over the past weekend. Mr. West is the latest artist in the music artist to pay a tribute to Hussle. As per the latest Sunday Service edition on 7th April, Kanye played audio of Hussle speaking some encouraging words. In his words, Nipsey is heard saying: "I just wanted to say some words of encouragement. Y’all stay focused, y’all keep working hard. Believe in y’all self. Prove everybody that doubt y’all wrong. Show up every day. Stay pure. Stay motivated. Stay smart. Show love to your people." in the footage. 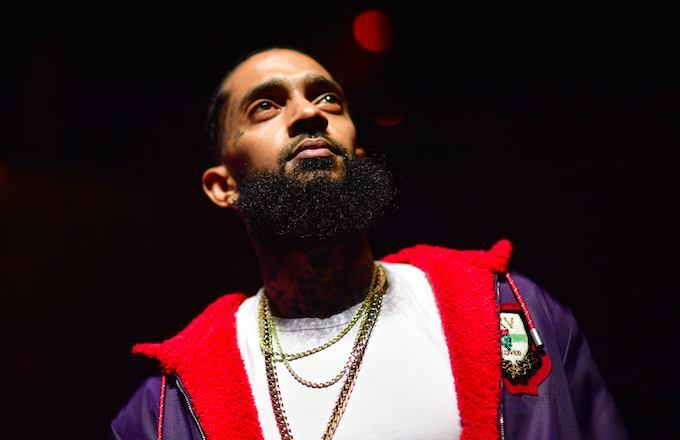 Late rapper Nipsey Hussle was gunned down on 31st March 2019. Kanye and his team played the audio of the late rapper over the intro of a choir whilst performing 'Forgiven', a song by 2 Chainz and Marsha Ambrosius. Sunday Service session is an outdoor musical ceremony organized by the rapper where he performs remake versions of his old songs, along with guest performers like 070 Shake and Kid Cudi. In addition, the recent tribute comes on the same day after it was revealed that the Grammy-nominated rapper's album; Victory Lap peaked at number two spot on Billboard 200. The 'Double Up' singer was 33 when he was gunned down a week ago in LA outside his Marathon clothing store along with other two people. A man recognized as Eric Holder is charged with one count murder and two counts of attempted murder. However, Holder didn't plead guilty during his court appearance on 4th April. Many tributes have emerged after the tragic news of the late rapper broke. Fellow rapper J Cole dedicated a song to Hussle during his performance at Dreamville Fest. Likewise, Drake too offered his condolences whilst performing at O2 Arena in London. Singer Rihanna wrote: "still can’t think about anything else...can’t believe someone would rob us of you" on Twitter along with sharing a video of Hussle. On the contrary, rapper Kodak Black caused a provocative outrage and faced backlashes after saying that he will wait for Nipsey Hussle’s girlfriend, Lauren London a whole year before he shoots his shot. Kodak later released a video apologizing for his insensitive behavior. Artists like The Game, T.I., LA radio personality Big Boi criticized Kodak for showing his lack of respect. A memorial event at the Staples Center in Los Angeles is going to be held on 11th April, this Thursday. Nipsey Hussle had a remarkable and positive influence in the Hip Hop community and was highly respected by his fans and his associates in the industry.